In default Windows 8 installation, Bing search app is featured prominently on the Start screen, with a larger tile that spans across the width of two app tiles. The Bing app also has a live tile which displays visually stunning and beautiful image to attract the attention of Windows 8 users. With such a large screen real estate been taken up, you will probably expect the Bing search app to be an useful utility. But so far it has been a letdown. 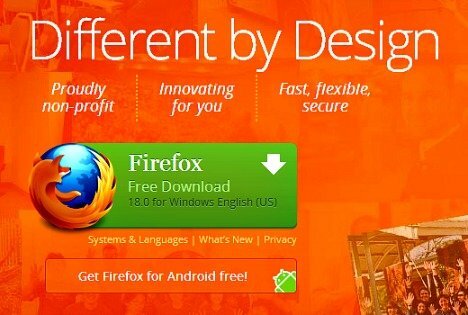 Since Firefox 13, Mozilla Firefox browser introduces a speed-dial New Tab Page which lists user’s top sites whenever a new tab is creating. The feature allows user to visit the most visited URLs easier, and it also allows user to pin sites to the New Tab Page. But not everyone is fond of the feature of New Tab Page in Firefox web browser, which raises the concern on privacy issue and potentially gives away the clue to your web browsing habits. Or you may want to display your favorite web page instead whenever opening a new tab in Firefox. Opera is a full-featured Internet browser developed by Opera Software. The browser has been featured with several features to handle common Internet-related tasks including searching and displaying web sites, sending and receiving e-mail, managing contacts, downloading files via BitTorrent, reading RSS feeds, chatting on IRC and etc. In order to keep it effort, the Opera developer team has recently released the latest version of Opera 12.02. The newly released focus on stability and crash fixes. Besides, it also included several bugs fixes such as fixing an issue secure pages would be shown as not being secure. Forget about all those complicated and confusing procedures. 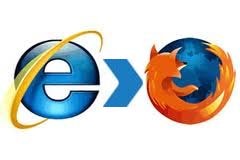 Just follow these three (3) simple steps on how you can import your Internet Explorer Favorites into Firefox Bookmarks. While there are many ways of parental control over children’s Internet activities such as using software, application or even setting parental control within Windows itself to monitor kids’ Internet browsing, surfing, chatting or online gaming activities, no filtering mechanism is 100 percent accurate. Therefore, Google has developed SafeSearch, a feature that lets you filter sexually explicit web sites and images from your search results, eliminating the most inappropriate materials from popping up on your children’s computer. Fujitsu Laboratories of America, Inc. had recently introduced Xurch, a new Web search browser plug-in that makes Web searching faster and a lot easier. Searching the web is often a repetitive and tiring process. Most of the time, you enter a search term only to realize that your query was too general, resulting in too many unrelated results. With Xurch, the computer helps you build the search you need, making it easier to find precisely what you are looking for and steer away from those long unmanageable lists showing millions of results.